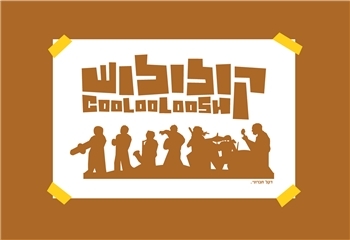 Coolooloosh is not only a word you probably haven't heard in years, but also the name of the hottest band in town, formed by Jerusalem musicians who one day found themselves improvising together intensively in a studio. The energy that the long session produced incorporating Funk , soul , acid jazz and jungle had to come out of the studio' and after a year of listening , cutting, pasting and so on, the group gathered their best jams and went out to rock the streets of the city. After long nights of performing, recording and rehearsing, this week they are celebrating the release of their debut album. Coolooloosh members are Yuval Gerstein (Guitar/vocal) Ori Winokur (Bass)Arik Levy (Saxophone) David Haham (Trumpet & French Horn) Maayan Smith (Saxophone) Yogev Shitrit (Drums) and Rebel Sun (Rap/Vocals). All these musicians on top of playing their instruments from a young age enjoy a variety of knowledge – from musicology to sound & production. The instrumental pieces that the band recorded won a rare encounter with the excellent rapper Rebel Sun (Joel Covington) thanks to an almost accidental acquaintance at a live show in Jerusalem. Joel is not your average M.C. but one who moves your body and your mind simultaneously with songs and texts that touch. In July 2004 the band finished recording their debut album "Coolooloosh" that includes the excellent and widely aired single "Conception" and a new version to the classic "My Favorite Things" that received an edgy quality.The true vibe that this group has to offer can be met next Thursday at the Lab in a special concert to celebrate the debut album that was produced independently and already gained interest abroad. While many bands today try to be original, few actually succeed in blending different genres to achieve that much-desired unique sound. During a recent gig at Cinematheque as part of the Jerusalem Film Festival, one local band did manage to pull it off. Playing a mix of jazz, funk, rock, jungle, reggae, rap and hip-hop, this up-and-coming outfit is as cool as its name - Coolooloosh. "Coolooloosh is a Jerusalemite word," explains saxophonist Ariel Levy. "It has to do with child's play - when they throw playing cards or candies in the air. It also refers to the sound you make during weddings or bar mitzvas, when people throw candies at the groom or bar mitzva boy. It's a sound of joy, and we try to spread joy with our music." With percussionist Yogev Shitrit, 27, playing at the speed of a death-metal drummer, bassist Ori Winkur, 23, incorporating funky color, guitarist and vocalist Yuval Gerstein, 25 adding a reggae wa-wa twist, David Chacham, 23, on trumpet and French horn, and Levy, 23, on sax, this Jerusalem-based band definitely has its own sound. The group was conceived in March 2003, rather spontaneously, when the members jammed for two straight hours in Shitrit's rehearsal room. "Although we hadn't known each other well before, we knew that day that there was something there," recalls Gerstein. "Something had to come of it. We played that way for about a year - just instrumental pieces. Every player added his own style, and every time we would arrive at something different - sometimes funk, sometimes jazz - that's how we got to know each other musically, and how we consolidated our sound." This random formation then joined forces with Baltimore rapper Joel Covington, better known as Rebel Sun. Rebel Sun came to Israel five years ago and joined the band almost as spontaneously as it was first created, taking Coolooloosh to the next level with his rhymes. "When we first invited Rebel Sun onstage, [the chemistry] happened the first time we played together; he blended right in," recalls Gerstein. "It was obvious that it was meant to be. It all came naturally." The band has one Hebrew rap song written by Chacham, but since Rebel Sun does most of the songwriting, the group sings mostly in English. Responding to the musical energy, Rebel Sun claims his lyrics flow just as naturally. "I try not to put my influence into the music," he says. "I try not to control it, and I try not to shape it. I just let [the music] be what it is." The group has so far recorded one self-titled album, but members say it has enough material for at least six. Since the CD was released in February, the band has started building a fan base. "We started getting airplay and gigs across the country," says Gerstein. "The album was sold only in Tel Aviv and Jerusalem because it was released independently," says Levy, "but it sold so well in these stores that [distribution company] Hatav Hashmini are ready to sign a contract with us and distribute our album across the country." Aside from playing with the group, most of the members study music. 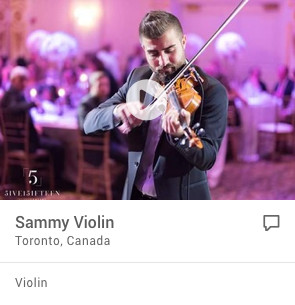 Shitrit has a degree in musicology, Gerstein also studies music, both Levy and Chacham have a classical background. Though the members of the band must hold day jobs to make ends meet, their lives revolve around music. Winkur, for example, is a soundman at the Submarine club, and Gerstein is a member in another band called Cham VeMechamem. Originating in Jerusalem, members of the band feel a connection to the well-known band Hadag Nachash, which made it easier to be a Jerusalem-based outfit. "Hadag Nachash is a band we respect," says Gerstein. "We're good friends. They're also from Jerusalem, and their style is a bit like ours, although it's still different." 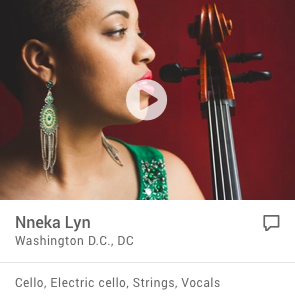 In the future the group hopes to make ringtones for mobile phones, perform overseas, produce and record more albums, shoot music videos, and even play at the Jazz Festival in Montreal, Canada. With curious folk and radio stations around the world downloading Coolooloosh's music, these dreams don't seem so far-fetched. With new trombonist Yaron Uzana (who did not appear with them at the Cinematheque), the band's sound could become even richer. In short, the Israeli public can expect to hear a lot more from this band with the addictive sound and a magical ability to draw crowds. Most Gen X-and-Y-ers would agree that Hip-Hop music has become a universal bridge between cultures , and who better to prove the point then a six- man crew from Jerusalem? Since 2003, the members of Coolooloosh (named after a local slang term that roughly translates as “Let it go!”) have been heating up the Israeli underground – and parts of Europe and the U.S –with their rambunctious live blend of Jazz, Funk and Jeep beats. 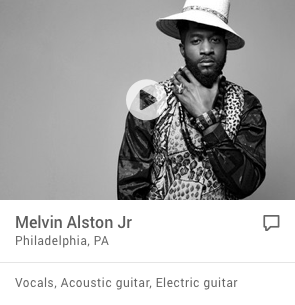 The group is now poised to break out internationally with its second studio album, produced by David Ivory (known for his work with The Roots and Erykah Badu), who hooked up with the band through a mutual friend and brought them to Philadelphia to record. This melting pt of sound recently kept a packed house at Joe’s Pub in New York moving and grooving until well into the night – a memorable close to a brief U.S tour that had brought Coolooloosh to New York’s Israel Non-Stop festival and down to Texas for the South by Southwest music conference. Behind the blaring horns of Arik Levy and Sefi Zisling and the cascading rhyme flow of MC Rebel Sun, the rhythm section of Gerstein, Ori Winokur (Bass) and Yogev Shitrit (Drums) delivers a funky punch that lingers. Watch out for the band’s new album, coming any day now to a booming system near you. Jerusalem-based band Coolooloosh defies categorization - it has no self-imposed limitations. Adeptly mixing jazz, rock, reggae and hip hop into one pressure-cooking improvisational groove, the music on its self-titled debut never loses either its backbeat or its vigor. The core guitar-bass-drums unit is augmented by a crack saxophone and trumpet duo that can sound like George Clinton and Funkadelic one minute and John Coltrane the next, especially on "Mehubav," which features a Coltrane-inspired reworking of the Rodgers and Hammerstein classic "My Favorite Things." Guitarist Yuval Gerstein can play Red Hot Chili Peppers funk as adeptly as he can wail on solos, and bassist Ori Winokur and drummer Yogev Shitrit set us a monster bottom on each track. Guest vocals on some tracks by American rapper Rebel Sun provide a nice contrast to the largely instrumental music, and smartly expand their boundaries into hip hop and reggae. One afternoon on the Ben Yehuda pedestrian mall in Jerusalem, Rebel Sun is filming a video clip for the song "Fight Rebel Sun" by his band CoolooLoosh. The song is hitting radio stations this week. Unusual people - from all over the world - are not an uncommon sight here, but still, within a few minutes, a crowd of curious onlookers has gathered around this short and bearded young man, wondering almost visibly: What is this cool American rapper doing in Jerusalem, and what did you say the name of his band was again? "Jerusalem cornerstone and corner prophet," Rebel Sun mouths the words to the song playing on tape in the background. With his Rasta dreadlocks, big wool hat and baggy jeans, he waves his hands before the camera, surrounded by a bunch of break-dancing teenagers. "This is what I love here," he says with a smile when the scene is done and he's waiting for the next one to start. "I can stand in the street and do my thing, freely, without fear." People watch, they want to know more about it. If I were to get up and start doing rap in the street at home, in Baltimore, no one would ask me about my music. Somebody would come with a gun and shoot me. Doing hip-hop means gaining enemies. It's a battlefield there." Behind him, in Kikar Hehatulot, another scene is being shot for the video: A group of youths gather in a sort of spontaneous demonstration, holding signs that support Rebel Sun?s struggle to keep on living in Israel. At the front of the demonstration stands Kashi (Ro'i Kashi), a local rapper. "Yes, he wasn't born here, but his children were born here, he performs his verse of the song." Several more prominent Israeli hip-hop artists have also written and perform segments, too: Shaanan Streett (soloist of Hadag Nachash), Kwami (Eyal Friedman), Sagol 59 (Chen Rotem) and MC Karolina (Karolina Avratz, from Funset and Habanot Nechama), who sings the chorus. "All the artists are doing it on a volunteer basis," explains Yuval Gerstein, the guitarist for CoolooLoosh. The clip is also being filmed for free by Eran Polishuk and Or Kochavi, two alumni of the Israel Defense Forces? video-editing units, who have been following Rebel Sun for four months and producing a documentary film about him. "It's a kind of protest song," says Gerstein. "For Rebel Sun." Rebel Sun is Joel Covington, 27, an African-American who has been living in Jerusalem for over six years with his wife Shoshana, 24 and also African-American. The couple see themselves as thoroughly Jewish; they were already married when they came here, and their two daughters, Kohelet and Tifara, six and four, were born in Israel. Last August, after years of an exhausting bureaucratic process, the family received a letter from the Population Administration instructing them to "leave the country immediately." "One day, Joel came to me and said: 'We've got a problem,'" says Ori Winokur, the group's bassist. "Up till then we didn't know that there was any problem with his legal status. We knew right away that we had to do something. For no reason at all, they won't give them a visa. Something here must be screwed up." "I lay the blame on all the people in the Ministry/ my friend just wants to sing/ the man just wanted to convert - you said no! He lives like a Jew - you told him: Go! What makes him unworthy to you? I'm ashamed to be a citizen here/ I shout black on white/ you won't expel Rebel Sun" (Kwami, in Hebrew, from "Fight Rebel Sun"). "I'm a Jew," Covington explains simply in the living room of the family's modest apartment in the Talpiot neighborhood. "Everyone asks me why I came here, why I decided to become Jewish or why I see myself as a Jew. But for me there's no question. I am a Jew. I was born a Jew and grew up a Jew, like my parents. And as a Jew - Israel, Jerusalem - this is the place for me." According to various estimates, there are tens of thousands of American blacks who have adopted Judaism. They live in scattered communities that have never been recognized by the Jewish establishment and live a religious Jewish lifestyle, to varying degrees, independently. Most of these communities were formed in the late 19th and early 20th centuries. One of them, which now numbers in the hundreds, is the Black Hebrews, who came to Dimona from Detroit and Chicago and in 2003, after 34 years, finally received permanent residence status in Israel. The Covington family's case is no different, except that they are a single family and not an organized community. They actually maintain a more Jewish lifestyle than many Israelis and strictly observe kashrut and Shabbat. Joel puts on tefillin and prays every day, though he doesn?t wear a kippa ("It's not written in the Torah"). After having encountered "a not very warm vibe" at several more traditional Orthodox synagogues, the couple say they've been warmly welcomed by the Shira Hadasha congregation on Emek Refaim Street. "I even keep niddah (the laws of family purity)," says Shoshana, an outstanding student pursuing a master's degree in international relations at the Hebrew University. She speaks fluent Hebrew. Joel prefers to speak English, but "understands everything." Unlike the Black Hebrews, the Covingtons say they are perfectly willing to undergo a halakhic conversion in order to officially immigrate to Israel under the Law of Return. But they're caught in a bureaucratic trap they got ensnared in due to some naivete on their part and much indifference on the part of the authorities. To convert in Israel you need a residency visa for Israel; for some reason, the Interior Ministry has refused to grant Shoshana the student visa she has been requesting on the basis of her university studies. "Everyone tells us: Why don't you go convert in America and then come back?" says Shoshana. "But it's not that simple! We have a whole life here; two little girls in preschool (at the YMCA preschool, attended by Jewish, Muslim and Christian children) and I'm in the middle of my studies." The story began in 1999, when the newlywed couple decided to leave the United States and move to Israel. "I didn't grow up in a home with any kind of religious awareness," says Shoshana. "My mother named me Shoshana after a Jewish childhood friend of hers, Shoshana Rosenberg. I didn't attach any special meaning to the name, but when I met Shiva (as Joel's friends call him) he brought me into Judaism. At first, we had a lot of arguments, but in the end, I guess I was searching for some kind of spirituality and Shiva brought with him something that was a lot more solid and together than the Christianity I was familiar with. And besides, I always hated Christmas." "We came here as tourists," Joel continues. "We traveled all over the country for almost six months. We lived in a hostel at first, and then in an apartment. We wanted to see if living here was possible for us." Shoshana enrolled in the Hebrew University's Rothberg School for Overseas Students and subsequently applied to the Interior Ministry for a student visa. "We thought it was a just bureaucratic thing we had to do. The other students in the program didn't have any problem getting a visa," says Shoshana. But in the case of the Covingtons, the reply was negative. "We asked them why they wouldn't give us a visa, and they told us simply: 'The university can accept whoever it wants. But if we give you a visa, you'll want to stay here.' We were in shock. That's exactly what we want! They told us outright: We don't want you here." The couple applied again for a visa, this time attaching all the necessary confirmation from the university and letters of recommendation from Shoshana's professors (Shoshana had meanwhile gone on to study for a bachelor's degree in international relations. She is currently working on the thesis for her master's degree, on the topic of the influence of colonialism on patterns in international relations; according to Dr. Oded Lewenheim of the department, she is a candidate to continue on for a doctorate. In her free time, she volunteers with the Elem foundation that helps youth in distress). The Interior Ministry took its time responding (and was on strike for much of the time in 2002-2003), and altogether, rejected the couple?s request three times. However, each time, including after the most recent letter instructing them to leave the country "immediately," the Interior Ministry also agreed to consider another request from them for a visa, so that the couple has been stuck in this peculiar limbo for six years now: Their residency here isn't totally legal, but they cannot be deported because they are always in the midst of a review process. "It's hard to live this way, with no sense of stability," says Joel. "We're afraid to buy things, because maybe tomorrow they'll deport us and we'll have to leave everything behind. We want to start a real life here already - to work and contribute to society and build a home." For now, neither of the two is employed and they get by on financial assistance from their families in the United States. "We are not a burden on the State of Israel in any way. On the contrary, we just want to contribute to the country. For us, this is the fulfillment of the Zionist dream." It's hard not to be impressed with their sincerity when they explain why they insist on staying here, despite the obstacles. "People ask us all the time: Why do you need all this aggravation" You left a comfortable life in the United States that most Israelis dream about," says Shoshana. Both come from relatively well-off families. "But the Jews who came here in the First Aliya also left behind a seemingly comfortable life in Russia, and they came to the unknown." Joel adds: "The fulfillment of the Zionist dream came through a struggle for liberation. We get inspiration from the determination of people like Herzl, Weizmann and Ben-Gurion. No one took their ideas seriously in the beginning, but they're responsible for everything that?s here today." "I did a lot of hip-hop as a teenager, but when I came here, I thought I was past all that," says Rebel Sun. "I planned to keep studying (he left the U.S. after two years in college) and find a regular job. 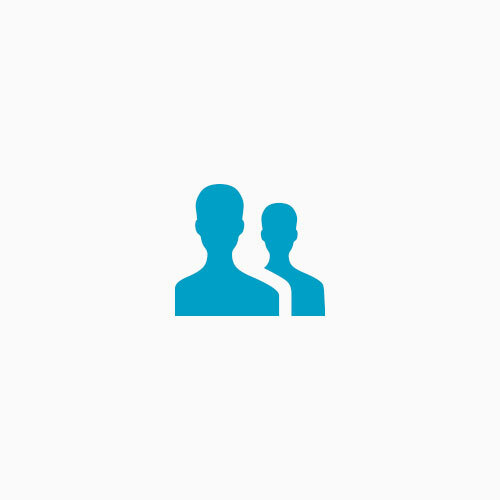 But then I met Ben and Sagol." Ben Blutstein, a religious Jew from Harrisburg, Pennsylvania, arrived in Jerusalem in 2001 for a year of yeshiva study. In his free time, under the name DJ Benny the B, he spun records at hip-hop parties and worked with Sagol 59, a veteran rapper on the Jerusalem scene. The three started to collaborate musically and to appear at clubs around the city. In July 2002, at the age of 25, Blutstein was killed in the terrorist bombing in the Mount Scopus cafeteria (nine people were killed in that attack). Rebel Sun (who was then using the name A7) and Sagol 59 continued working together and contributed a song to an album by Israeli rappers that Hed-Arzi put out a year later, in memory of Ben Blutstein. "The moment that Ben died was the moment when hip-hop went back to being a serious thing for me," says Rebel Sun. "I decided that I would keep doing hip-hop, in memory of Ben, too." Rebel Sun was an active partner on three of Sagol 59's albums, and gradually became well-known on the Jerusalem hip-hop scene. Many of the hip-hop groups from the city, particularly Hadag Nachash, belong to the alternative stream in hip-hop, which some call "intelligent hip-hop." Sagol 59, for example, hosts freestyle evenings at the Daila Club downtown, in the "spoken word" genre. "You get Jewish, Arab and Russian rappers there. There are religious people, people from all over the world - from England, there's one guy from Germany. That's what I love about Jerusalem," says Sagol, a kibbutznik by birth. "It's not a uniform scene but a whole collection of different types. There are no imitations. Each one does something unique." Rebel Sun can certainly be counted among the rapper-poets. The texts he writes and performs are long, complex and rich in metaphors. "In my writing, I express pain, suffering, hatred, frustration, fear. Rap helps to release these feelings," he says. His colleagues are effusive in praising him. "His technique and flow - these are things you don't get to see much in Israel," says Sagol. "When I perform with him, I feel that I have to go up a few levels. He's a professional. He doesn't slide into cliches and curses." Kwami agrees: "He's a crazily talented rapper and he could make a big contribution to the scene in Israel." The admiration is mutual. "I was surprised by the strength of the underground scene in Israel," says Rebel Sun. "Especially in Jerusalem. There's a massive underground scene, and a lot of hunger on the part of the artists who take part in it. People have real things to say. In the States, it all ended around 1998. Now all the leading rappers are wealthy capitalists. But here it?s real. There's a sense of togetherness among the artists, the creative work is shared. Look how everyone has come to my aid. It's very moving." Rebel Sun's first group, called Live Audio Sound, didn?t last very long. Today, along with his work in CoolooLoosh, he is busy with several other projects, including recording a disk with DJ Mash (Meshar Cohen). His work with CoolooLoosh began about two years ago. CoolooLoosh, incidentally, is a word that anyone who grew up in Jerusalem recognizes: It's shouted whenever a bunch of little playing pieces are tossed in the air in a kids? game. People who grew up elsewhere in Israel probably know different versions of the same cry. "We - the musicians - started playing together in the winter of 2003," says Winokur. "We all came from a background of classical music or jazz, and in a spontaneous encounter, we started to play and it really worked well." For about a year, the band members got together regularly and played jazz and funk. "After about a year, I met Shiva," says Winokur. "It was an open mike night for rappers at the Diwan Club. Suddenly I heard this amazing rap and I saw him, and people were crowding around him in excitement. He just had me mesmerized. After the show, I asked him where he was from and he said: 'I'm from Jerusalem.' We exchanged phone numbers and I hurried to tell the band that I'd found just what we were looking for. But it took three months until I managed to see him again, and in the meantime they were all saying I made up the whole story." But then he showed up, when the band was performing at the Little Khan theater. "It was just our second show," says Winokur. "We were just jamming with our material and all of a sudden I noticed him standing there watching. I invited him on stage, he started doing freestyle and there was a fantastic connection between us. We kept going with him for something like a half hour. Everyone was ecstatic. And he?s been with us ever since." In the summer of 2004 the band put out its first album, containing early instrumental material and four songs recorded with Rebel Sun. The album was recorded independently in a home studio, and the band members distributed it to stores themselves. It got enthusiastic reviews and some good airplay, especially on 88FM. The band started performing more frequently and gaining fans outside Jerusalem, too. After the first 1,000 copies of the album sold out, the band signed a distribution contract with Hatav Hashmini, a Jerusalem company, which in recent years has signed a number of leading Israeli artists, including Arik Einstein, Micha Sheetrit and Beit Habubot. "We knew them as a performing band and we were happy to sign them," says Asaf Rahmani, manager of the Hatav Hashmini store chain. "They fit into the growing and more sophisticated hip-hop scene, which is based on funk." The Covington family is currently awaiting an answer from the Population Administration to its most recent request for a student visa. Perhaps the family now stands a better chance of attaining its goal. Attorney Yehoshua Kramer, who has a lot of experience in helping American basketball players obtain Israeli citizenship, has also volunteered to help with their case. In September, Kramer sent a letter to then interior minister Ophir Pines-Paz, explaining the circumstances of the case and requesting that the family be granted a visa. Enclosed with it were dozens of letters from various people and organizations expressing support for the couple, including university professors and music industry executives. MK Ran Cohen of Meretz also sent a letter to the minister, urging him to grant the couple's request. Not long afterward, Kramer received a reply from the minister's aide, saying that "the request has been transferred to the relevant officials," but since then there has been no progress; further letters sent as a reminder, the most recent last month, have not been answered. "The Covington family meets all the criteria for a residency visa," says Kramer. "And the arbitrariness of bureaucrats is the only reason for their request being denied. If a minister who is fair-minded and not under the sway of the ministry bureaucrats were to examine the issue with an open mind, he would approve the request." For now, the Interior Ministry is without a permanent boss, but according to Kramer, this doesn't necessarily mean the issue will be postponed until after the elections. "Temporary status didn't stop the deputy minister, Ruchama Avraham, from approving the citizenship of Toto Tamuz (the young Nigerian soccer player on Hapoel Petah Tikva) not long ago and having her picture taken with him for the sports pages. If she'd like, a CoolooLoosh performance could be arranged for her, and they could sing her a song." He also says that if the present request is not approved, he will appeal to the High Court of Justice. At the same time, the band members began gathering signatures on a petition circulated at their shows and on their Web site, and also held a joint show with other artists at the Ja-Pan club in Tel Aviv to try and stir up public interest in the matter. "That's where the idea of writing the protest song was born," say the band members. Last Thursday, the song was played for the first time, on the Esek Shachor program on Galgalatz. The band was a guest on the program and the studio was flooded with phone calls from people wanting to know what they could do to help. In addition, Uri Zaki, the chairman of Young Meretz-Yahad, and Yoel Hasson, the chairman of Kadima?s youth department (and former chairman of Young Likud), have also told the band that they will work together to speed up approval of the visa request. Interest is coming from other places, too. Menashe and Rachel Levy, who knew the parents of the band?s saxophonist, Arik Levy, also sent a letter to the Interior Ministry, attesting that they have informally adopted the Covington family and would be happy to accompany them through the conversion process as their adoptive family. "We saw their goodness and sincerity and became very good friends with them," says Menashe Levy, a building contractor from a veteran Jerusalem family. "They come to our home often and come with us to the synagogue." Levy, who in the past assisted immigrants from the former Soviet Union with the conversion process, has full confidence in them. "They're not looking for favors or special treatment. Their desire to convert is genuine." In the Population Administration, they apparently haven't heard about the correspondence with the minister's bureau. In response to this article, a spokeswoman for the Administration claimed that the family had never tried to regularize their status in Israel, despite all the documents attesting to the contrary. She also explained that if the family leaves the country, "it will be possible to invite them [back] in one framework or another in an orderly fashion," but as long as they reside in the country illegally, they are required to leave. Joel and Shoshana are aware of this possibility, but are afraid that if they leave the country, they won't be allowed back. In 2003, five extremely talented musicians from Jerusalem, Israel, and around the world, found each other and came together to form one of the most unique and dynamic forces in the music world as we know it today. Suitably named “Coolooloosh”, a Jerusalemite word for celebration and joy; this is precisely what the band exudes with each and every exciting performance. Wooing fans around the world with their intelligent blend of genres, Coolooloosh combining Hip Hop, Rap, Jazz, and Funk, is one of Israel’s most popular groups, and is one of the very few well known emerging acts that can pull it off. Consistently, pushing the envelope, the band is destined to break internationally. 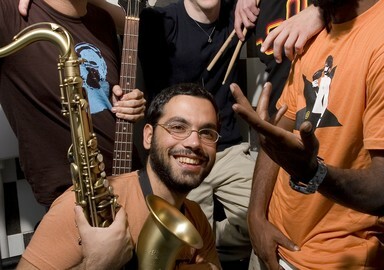 A diverse group of individuals, from varied musical backgrounds the band consists of Yuval Gerstein (Guitar and Vocal), Rebel Sun (MC), Ori Winokur (Bass and vocal), Yogev Shitrit (Drums), Arik Levy (Saxophones) and Sefi Zisling (Trumpet). Combining both English and Hebrew text into their songs and unique blend of genres only further enhances their distinctive style. Following an extremely zealous show at the renown Sodra Theatre in Stockholm Sweden in May 2007, Coolooloosh forged on in August and September to continue an extremely successful and productive tour of Europe performing in the UK, Germany, Bulgaria, Czech Republic, France, and Hungary, including the well known “Spancirfest” festival in Croatia, gaining major attention and vast amounts of new fans at every show. Recently at the invitation of Grammy® nominated engineer/producer David Ivory (The Roots, Patti Labelle, Erykah Badu) the band traveled to the US in January of 2008 to record their new full length album with Ivory at the helm. “These guys are really something special and unique. When my associate brought them to my attention, it was a no-brainer that I had to work with them” stated Ivory. In conjunction with recording the exciting new album, Coolooloosh toured across the US, including a show at the prestigious Kennedy Center in Washington DC , Avalon in Los- Angeles , House of Blues in San Diego , World Café Live in Philadelphia and finished the USA tour with a sold out show at the well known Joe’s Pub in Manhattan. The new album tilted “Elements Of Sound” is distributed by a major record label in Israel as well as worldwide digital distribution. Coolooloosh featured the Soul Legend – Bunny Sigler on two tracks of this new release and the world famous percussionist Pablo Batista (Alicia Keys, Jill Scott, Diana Reeves). Coolooloosh will embark on a worldwide tour throughout 2009 to celebrate the release of album including shows at the world famous Montreal Jazz Festival and the Cow Palace in San Francisco. 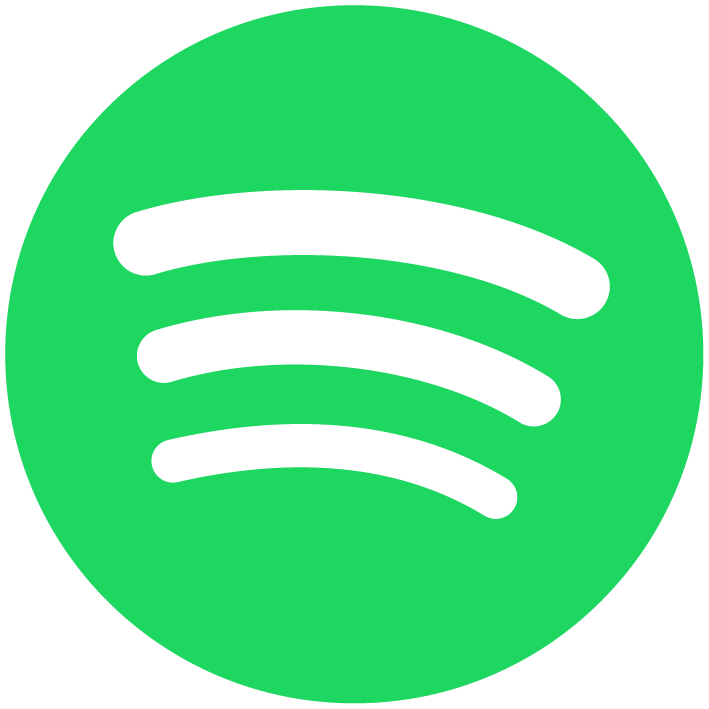 Look for this emerging artist to take the world by storm and break wide open onto the scene and quickly become a powerhouse in the international music community.